For some people, spring means a time of cleaning, rain boots, and preparation for warm weather. 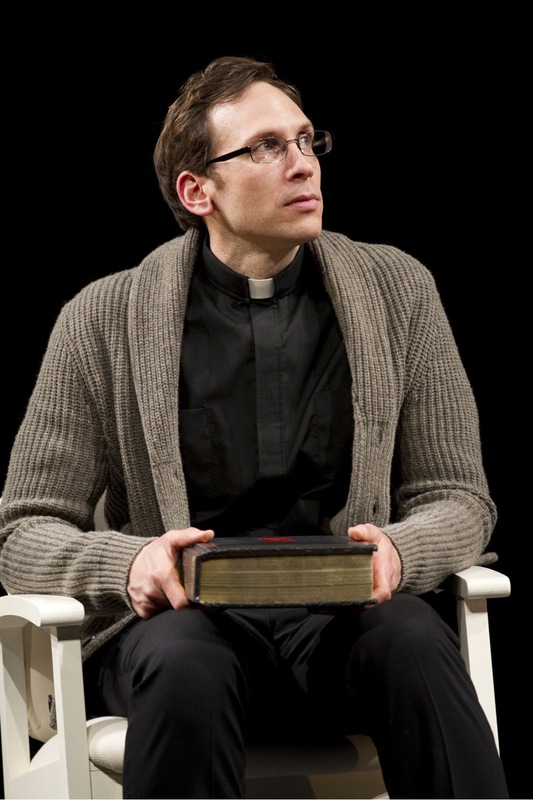 For Stephen Kunken, spring means a role in a hot-button, new Broadway play. In April 2007, Kunken had a supporting role in Frost/Nixon, and last April, he starred in Enron, for which his performance earned him a Tony nomination. A year after that rollercoaster run in Enron (the day Kunken received his Tony nomination was the same day the show posted its closing notice), he is starring alongside Kathleen Turner in the new drama High, opening April 19. As Father Michael Delpapp, Kunken assigns Turner, an ex-alcoholic nun, to council a troubled teenager, played by newcomer Evan Jonigkeit, suffering from intense drug addiction and abuse. The three characters hurdle down a volatile road of secret connections, painful memories, and religious doubt. 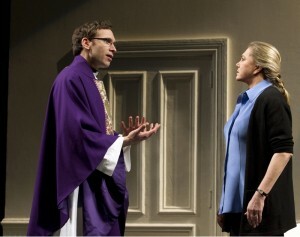 While Kunken’s character is more reserved than in his Tony-nominated Andy Fastow role from Enron, Father Michael equally pushes the plot with his secrets and questionable actions. His audition process involved reading alongside Turner, which Kunken described as the optimal method to discovering if a role fits. “Kathleen wanted to be there. It’s kind of fantastic, because if you’re prepared and ready to play, when you’re working with the person who is going to be playing the part opposite you, you get a tremendous amount of information,” Kunken said. The character of Father Michael has secrets of his own, which Kunken had to figure out how to reveal. “There’s a difference between being a really good liar and fooling the audience completely and being a really good liar within the world of the play,” Kunken said. Citing Othello, Kunken said he did not want to be a “mustache-twirling” Iago, whom the audience distrusts from a mile away, but rather a Michael J. Fox type—a trustworthy character in which deception can easily hide. Are you excited to see Stephen Kunken and Kathleen Turner face off in High, Rushers? Did you catch his Tony-nominated performance in Enron last season? Are you more attracted to darker fare, like High, or lighter shows? Leave your comments below, and tune into Stage Rush TV this week for bonus material from my interview with Kunken!